Everlast Blacktop is a leading concrete contractor choice in the Chicago Metropolitan area that achieves stunning concrete driveways and stamped concrete driveways. Everlast Blacktop provides over 25 years of experience and skill as a concrete driveway contractor. Many Carpentersville customers agree that we exceeded their expectations in service, quality and attentiveness to answering customer questions along with communication. We look forward to partnering with you and giving you the concrete driveway or stamped concrete driveway you’re looking for. Everlast Blacktop is considered an A+ concrete contractor by many customers. Carpentersville, Illinois has a population of 37,691 and was founded in 1880. Carpentersville is located in Kane, County and displays the motto, “Building a better tomorrow today.” You can be sure that you will receive an accurate quote and highest quality work. We construct reliable and long lasting concrete driveways and stamped concrete driveways. Everlast Blacktop is a concrete driveway contractor that’s here to help create the driveways you want that will transform your home or business. Whether you’re looking for a smaller project or multiple larger projects, Everlast Blacktop concrete contractor has you covered! We set out to knock it out of the park with every finish of our concrete driveways stamped concrete driveways. Allow Everlast Blacktop to show you why we are the best in the league! 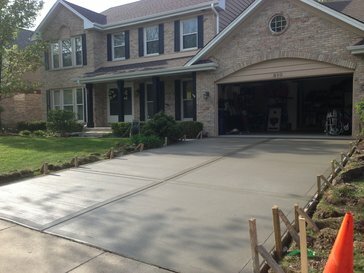 We are the concrete driveway contractor you can count on and trust with any size concrete project, so call today at (630) 855-5572 for your quote. There is no time like the present to make the right choice!